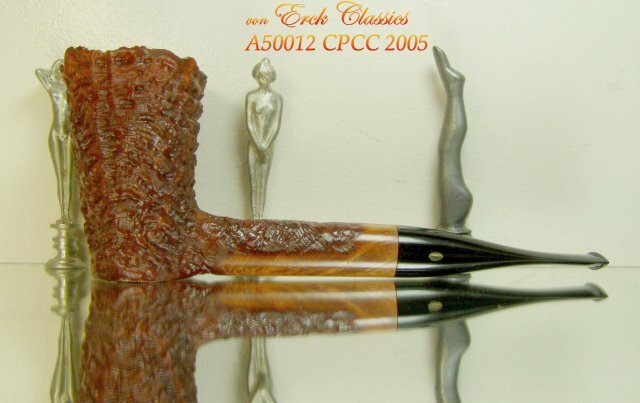 This is a pipe which was made for Cheryl Coston and named the “c” pipe. 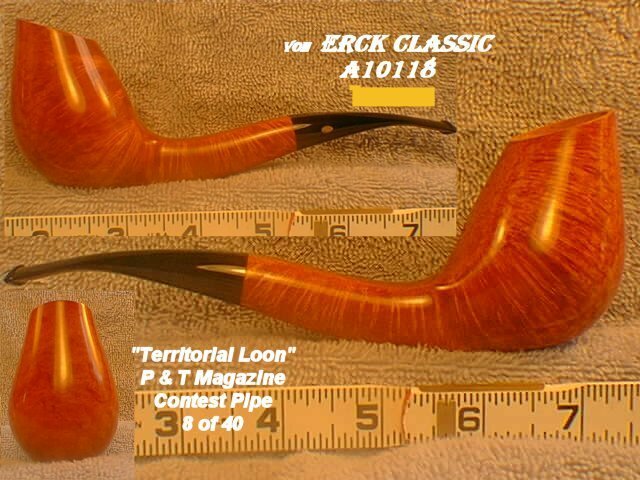 Lee has also made them with one stem and a shorter churchwarden bit. The piece showcased here is called a Loon. The inspiration comes from a picture of a Loon protecting his territory. 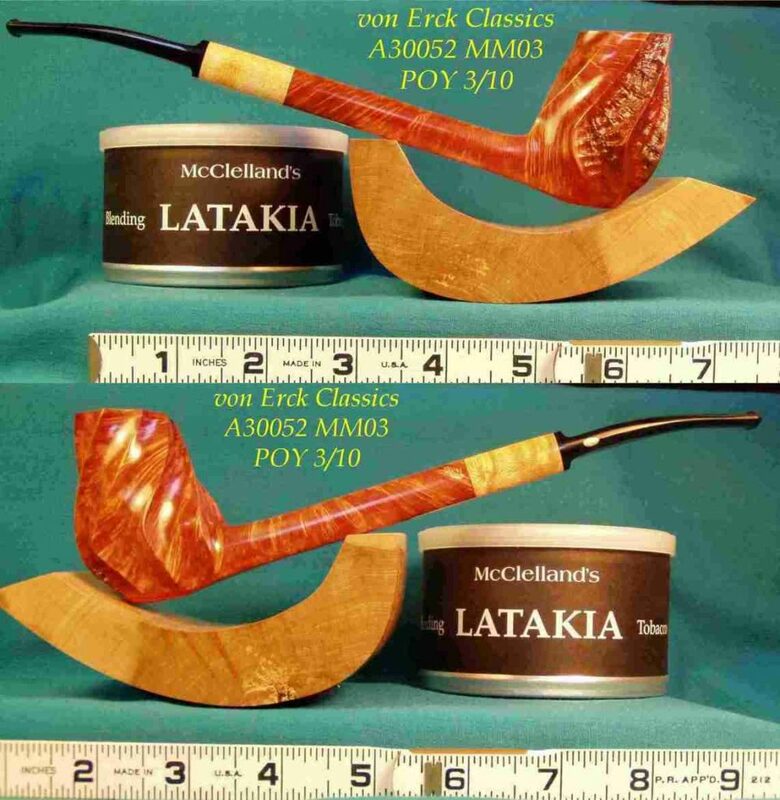 This piece was from 2003 and was Pipe of the Year. The extension is from bird’s eye maple. 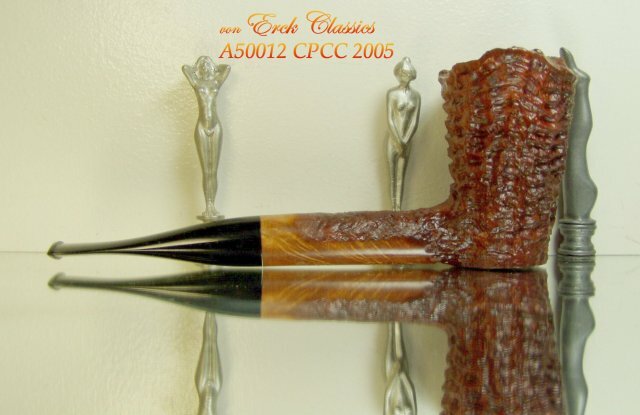 This is the shape done at the CPCC seminar in 2005.
von Erck's Classics, Some rights reserved.